Welcome back from the weekend! 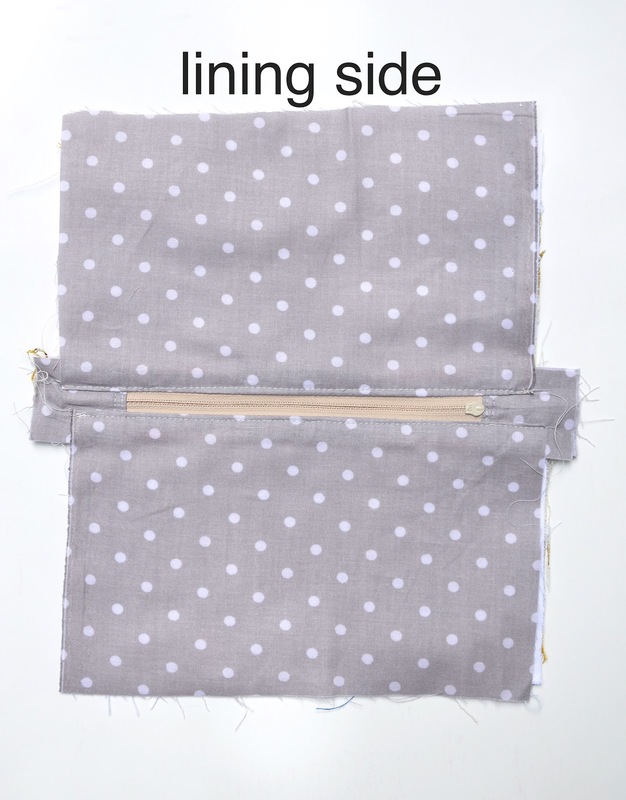 In the first few Zip A Bag posts, we learned to make pouches with central zippers that bisected their fronts or tops. 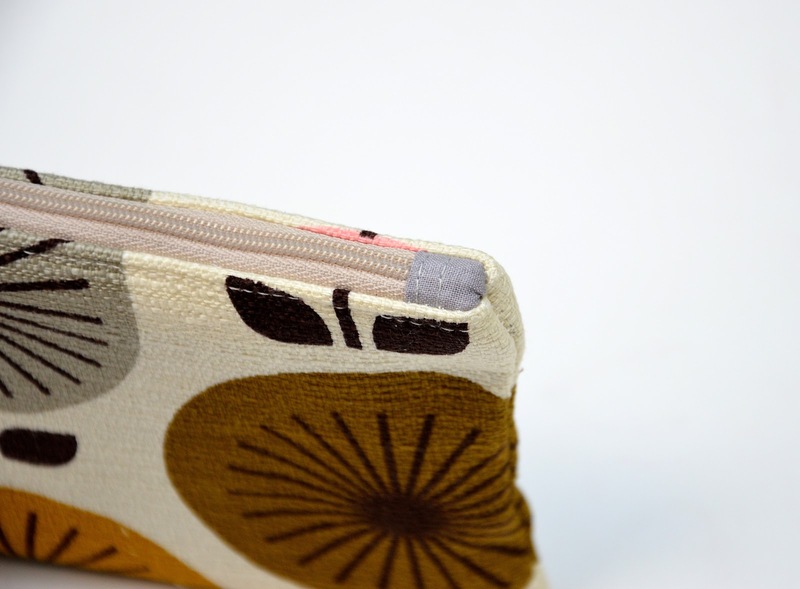 In the next few posts, we'll be moving away from central zippers, installing them instead along a pouch's natural edges. 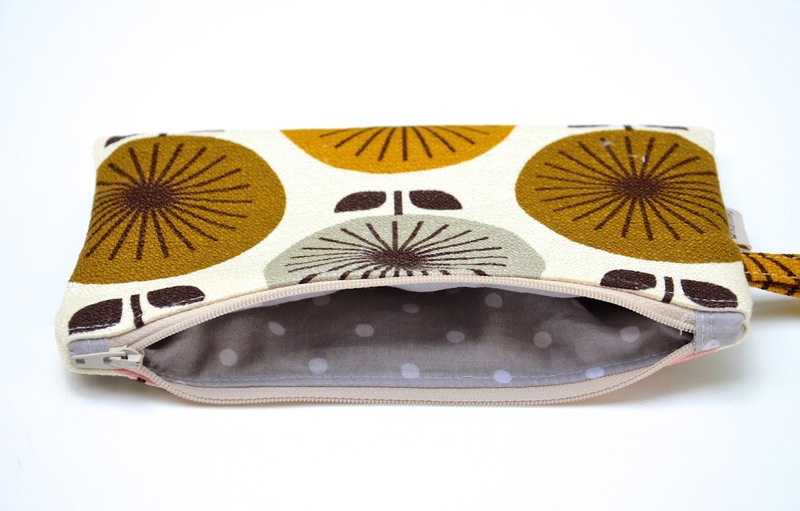 This is the ubiquitous Zippered Pouch that everyone has made at least a hundred times in their lifetimes. And by everyone, I mean everyone (and their mother). 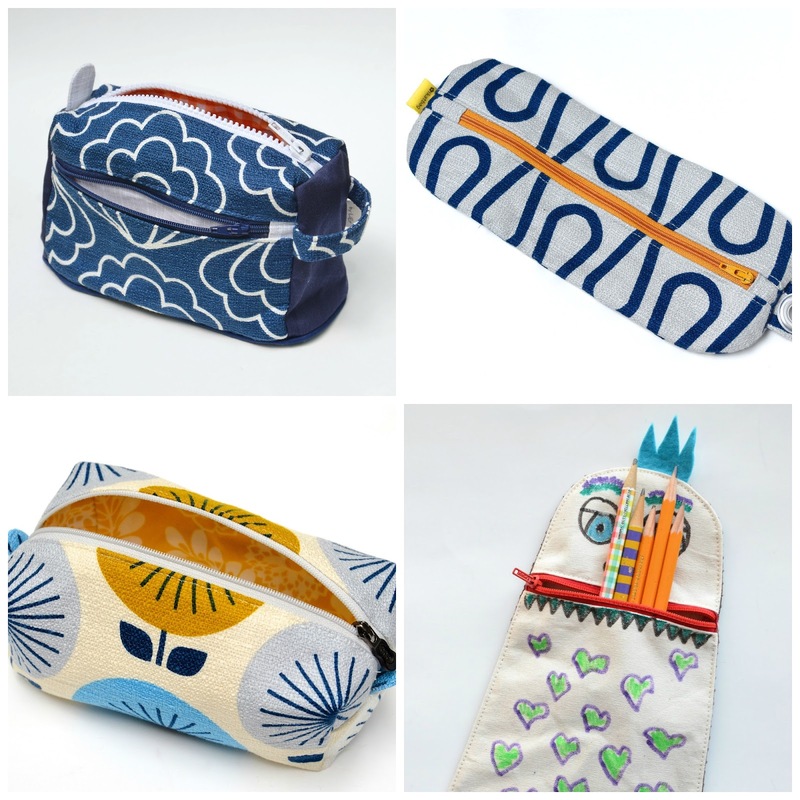 It is the go-to pouch for last-minute gifts and craft fair stock. 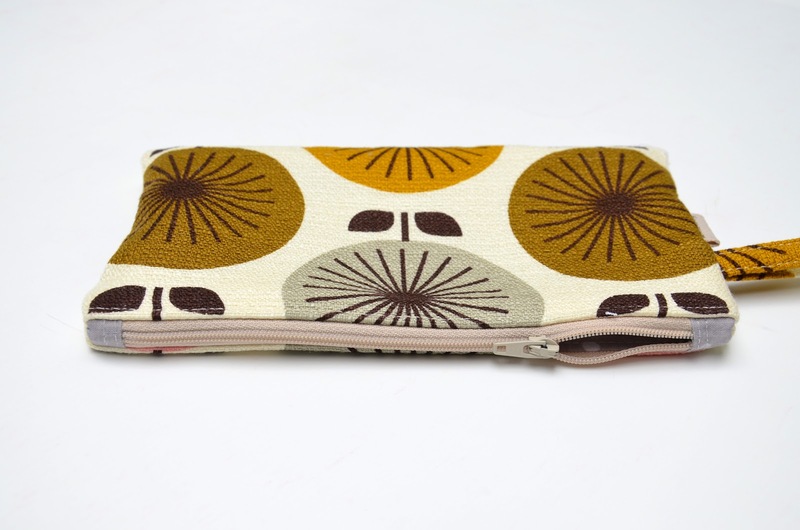 It is the #1 First Zippered Project pick for sewing courses. 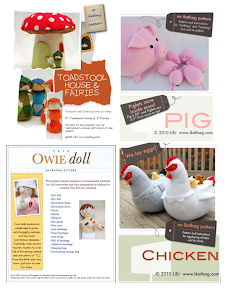 It is the hot fave when you want to stash-bust and turn out something that screams, "Looks store-bought!" It is ridiculously easy to make, and disproportionately satisfying to feel "advanced" about accomplishing, especially given how "beginner" it actually is. 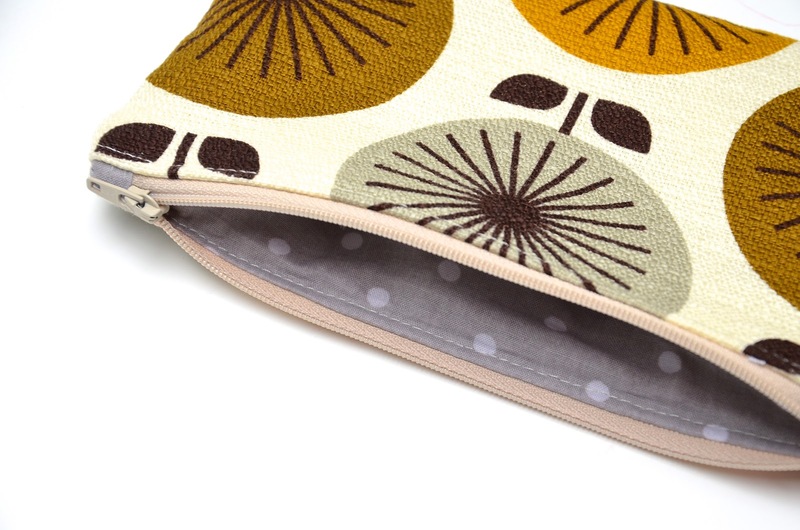 I mean, is there an easier zippered receptacle about which you can advertise "fully lined"
(as if lining a pouch or bag were a special treat one might save for special occasions, rather than a taken-for-granted standard feature of any properly-finished receptacle)? I'd be hard pressed to think of one. That edge-zipper installation is also versatile like you wouldn't believe. And we are going to try out some fun designs in the next few chapters to showcase it. 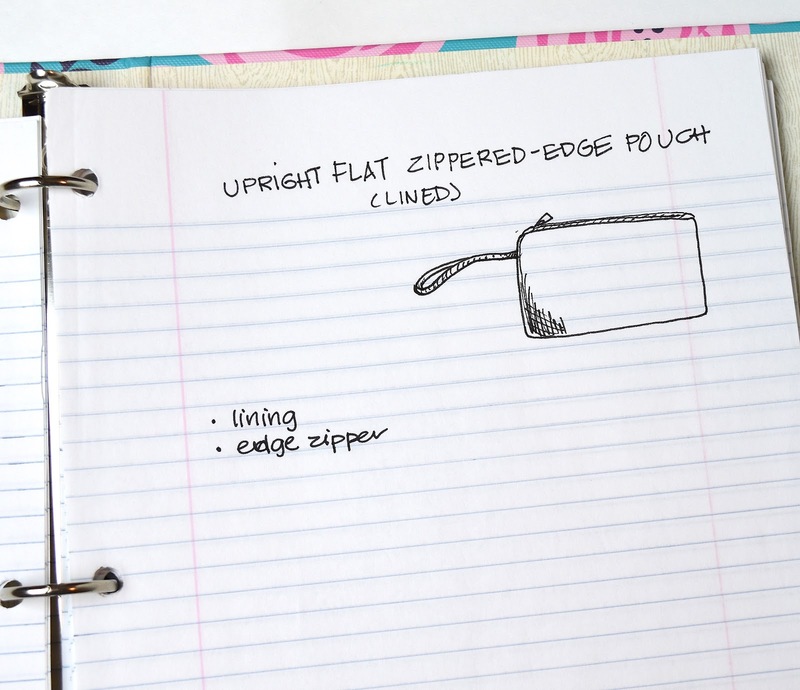 In the spirit of comprehensiveness, let's begin with the basic zippered-edge lined pouch. any additional features you like - I'm adding a wrist strap. and the WS of the zipper to the lining. By now, you can probably do this in your sleep, so I won't repeat the step-by-steps. Let's instead speed through to where we've got the 4 pieces of fabric attached to the zipper, and the seams pressed and topstitched. A note: all the stitching lines extend to the edge of the fabric. 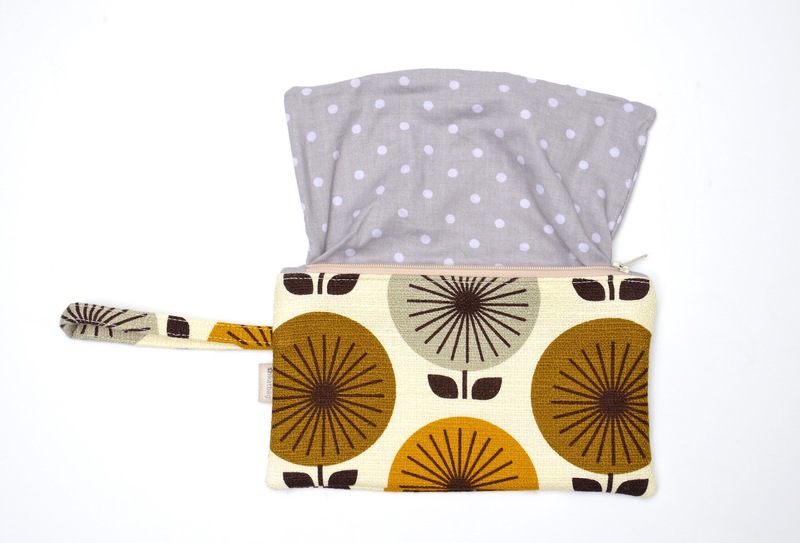 There is no need to keep the stitches out of the SA of the short sides, as we did with the previous pouches. 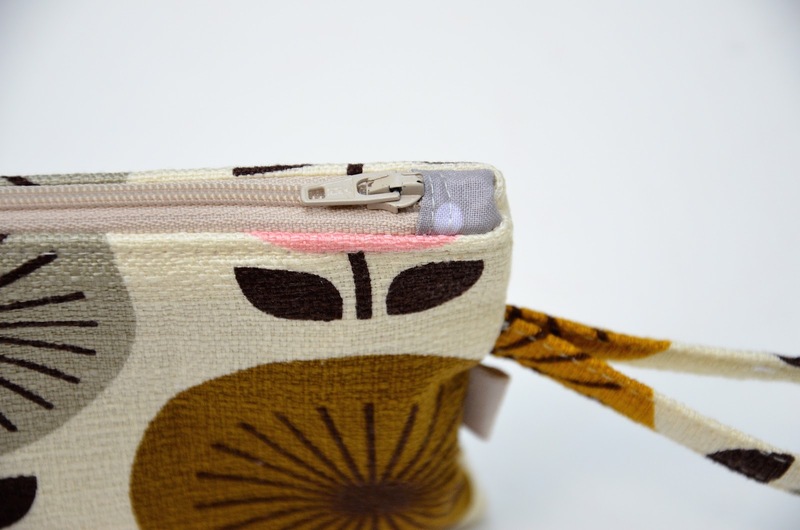 This is because the zipper is along one of the natural edges of the pouch and can be treated as if it were just a seam to be sewn over. This will be more obvious later. and here is the lining side. 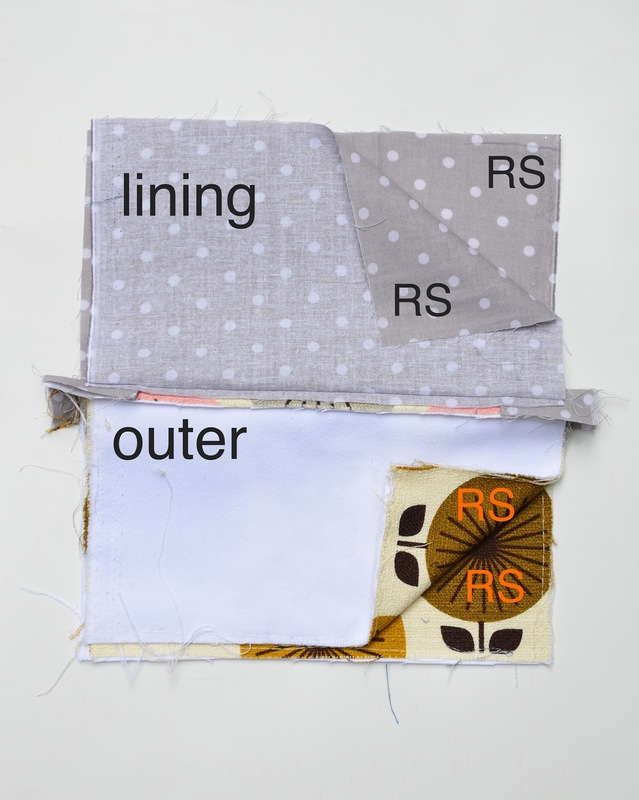 Now bring the RS of the lining pieces together, and the RS of the outer pieces together. Sew all along the perimeter of this ensemble, leaving a gap in one of the lining seams for turning out later. 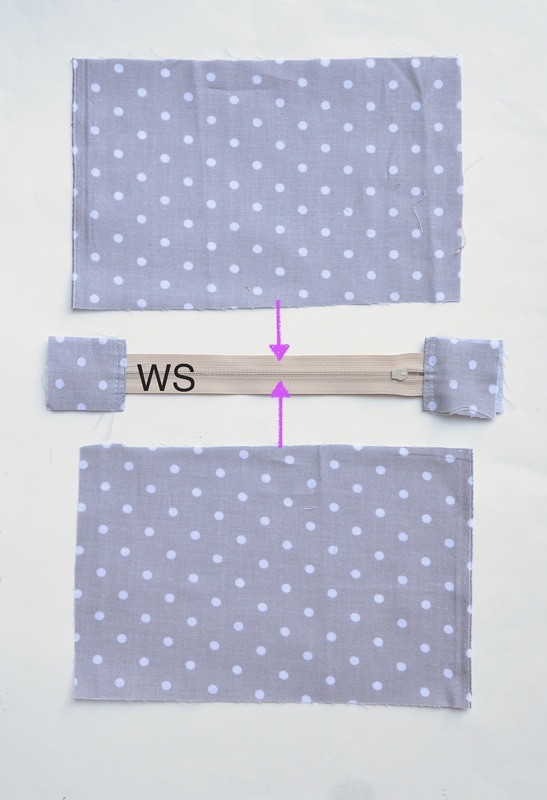 If you're adding a wrist strap, as I did, insert it pointing inward, in one of the side seams in the outer fabric half. 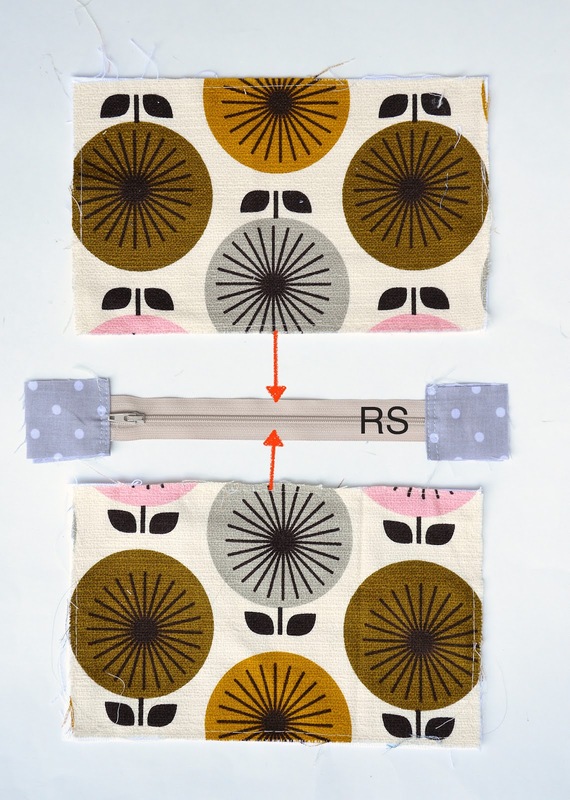 It is highly recommended that you trim the ends of the zipper tape (which are sandwiched between the layers of the fabric stops) to as short as is reasonable; ideally, these stitches should not catch any zipper tape between the fabric stops, and produce a very neat, unbulky stop at either end of the zipper in the finished pouch. 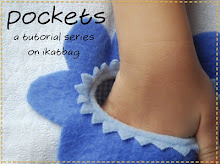 Turn the entire pouch RS out through the gap in the lining, stitch shut that gap, and push the lining back into the outer pouch. unzipped to show the lining within. When we return, we'll be using this installation technique for a purse, a shoulder bag, another pouch and a multi-way backpack. 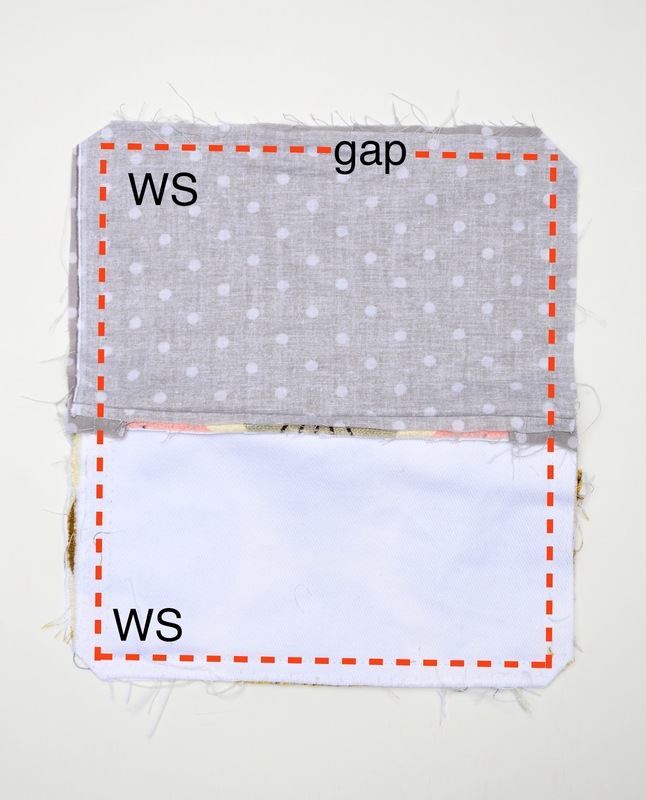 When you sew the two outer fabric layers together and the two inner fabric layers together, should the zipper be folded to the outer fabric or the inner fabric? Your photos showed the zipper folded to the outer fabric, and I just wanted to check. Monica: (I'm assuming you're referring to the last annotated photo - the one with the word "gap" in it). It's a very good question. So, the zipper configuration will be different from the previous pouches because today's zipper is on the edge of the pouch. 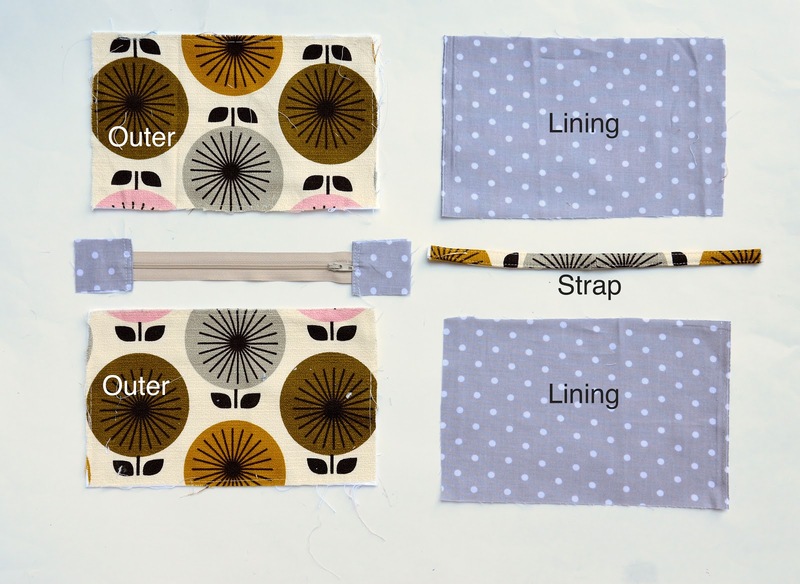 With the previous pouches, the zipper lay flat (because it was in the center of the flat fabric front rather than along an edge) during the last stages of pouch-assembly. As such, you could easily position the fabric stop's SA wherever you wanted them to go and they'd stay in place while you sewed. In today's case, the zipper does not lie flat. 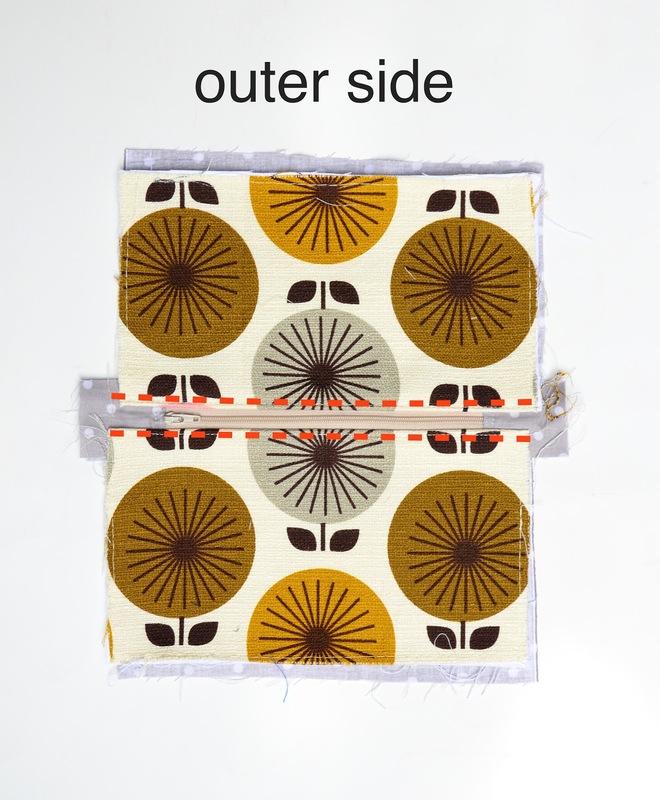 It rolls annoyingly as you sew the outer-outer and lining-lining seams. The SA of the fabric stops bunch up at the corners of the pouch and the zipper tape itself makes everything even more not-flat. This is not pertinent to your question but wanted to mention it so you are reassured that it is NOT a smooth sew. 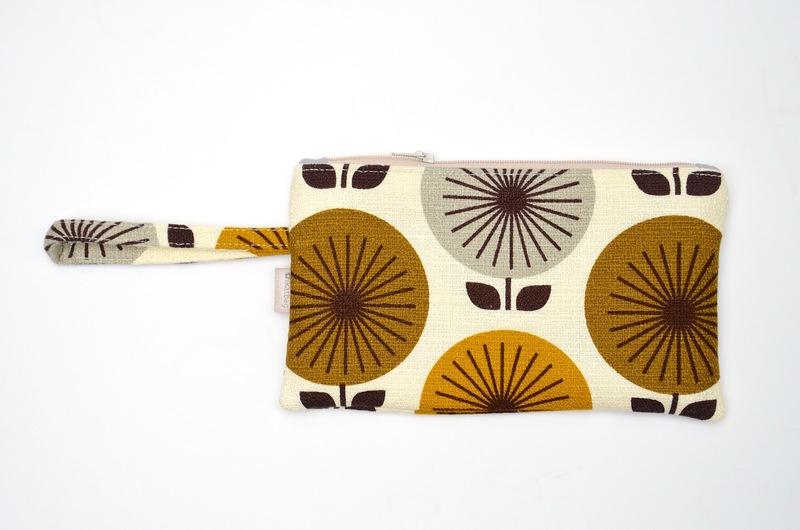 (Also why I do not by choice make this style of pouch much). That said, yes, in the photo, it looks like I folded the zipper tape (and its SA) toward the outer half of the pouch, as that was how I visualized the zipper tape lying in the completed project. Thank you! I learn more and more every time I read your tutorials. I clap my hands in girlish glee for every one of these tutorials. I know that if I were reading them in a group, I would have skipped over these, as I'd assume "I'd made a million, I don't need to read that." And yet, because I am hungry for more, I read it and I LEARNED MORE.